The Manchester Club dinner on October 15 featured Chicken Kiev put on by Bill Scott’s crew and an informative talk by Stefan Edick, Captain of the Gloucester Schooner Adventure. Captain Edick has been with the Adventure for two years and has seen the number of cruises go up from two in 2013 to 34 in 2015 after years of restoration by volunteer workers, professionals in Gloucester and generous contributors. The Schooner Adventure at the 2015 Schooner Festival in Gloucester. Courtesy of the Adventure’s Facebook site. 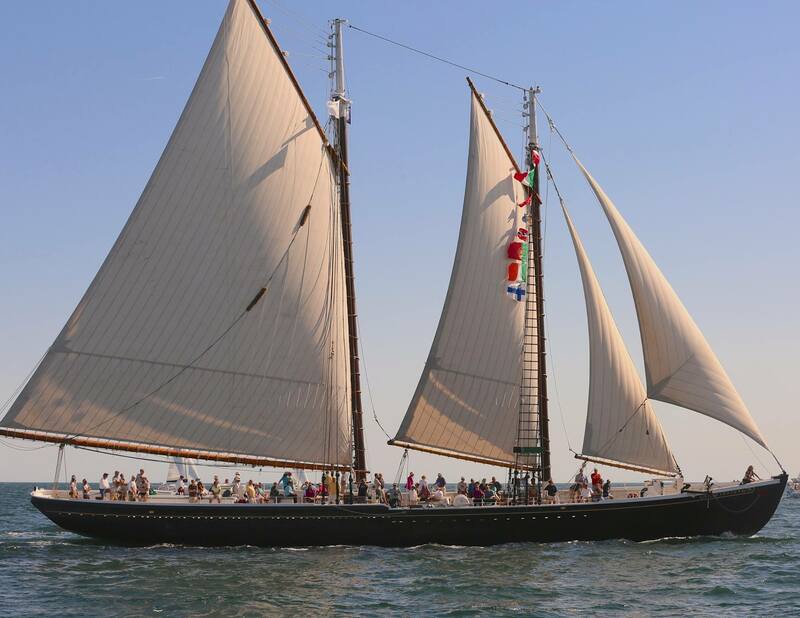 The schooner was built in 1926, in Essex, Massachusetts, by the John F. James and Son Shipyard. She measured 121.6 feet in length, 24.5 feet in breadth, and 14 feet in depth. Her gross tonnage was 130 and her net tonnage 62. In 2013 after extensive repairs and reconstruction in Gloucester, Adventure sailed for the first time in 20 years in August 2103. For more of the story, and opportunities for volunteer work, see the Adventure’s web site .